If you are planning a holiday in Italy with kids the Garda Lake is really a perfect destination. This lake is located in the North of Italy and is visited each year by many tourists who choose it for its clean waters and the delightful villages on its shores. Be assured that a trip to Garda lake will make you feel be to the sea: sailing boats to the horizon, parasols and salvietto, coffee shop and restaurant with dehors and tourists strolling with their ice cream. 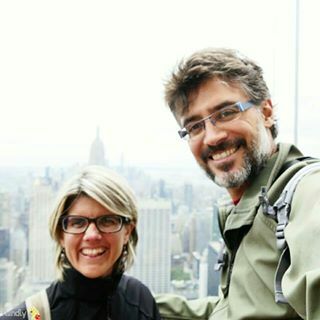 There are many B&B and hotels all around and you can see turists from all around the world! 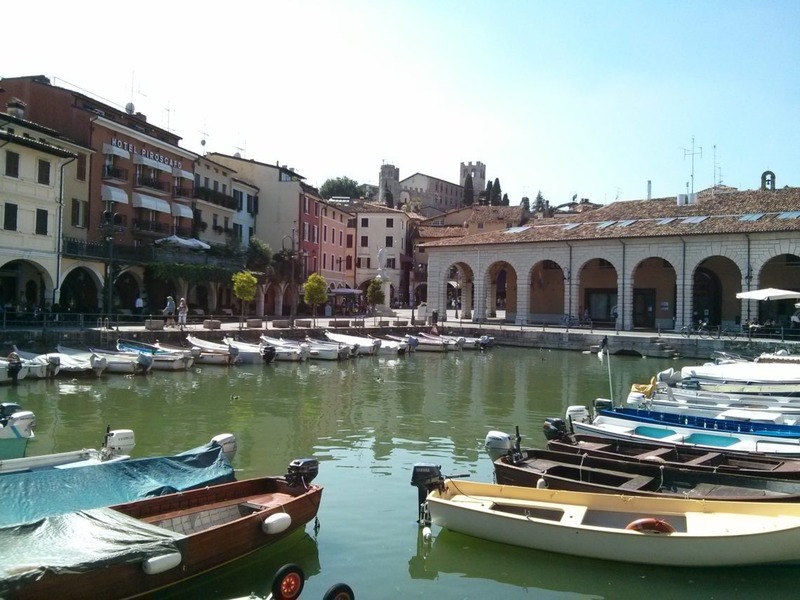 One of the place that I like more on Garda Lake is Desenzano, really lovely if you travel with kids. As soon as you exit the highway it becomes clear that your holiday is coming: hotels, Bed and breakfast and restaurants are all around toghether with the olive trees that produce an oil very appreciated. Then after parking the car a walk through the Desenzano city center will make you think for a while to be in Venice! Of course , we are not in the lagoon and Desenzano is not comparable in beauty and size to Venice , but I assure you that the little harbor crowded with boats and the square plenty of bar will invite you to sit down and order one Spriz (a typical cocktail), together with a huge bowl of ice cream for the kids! 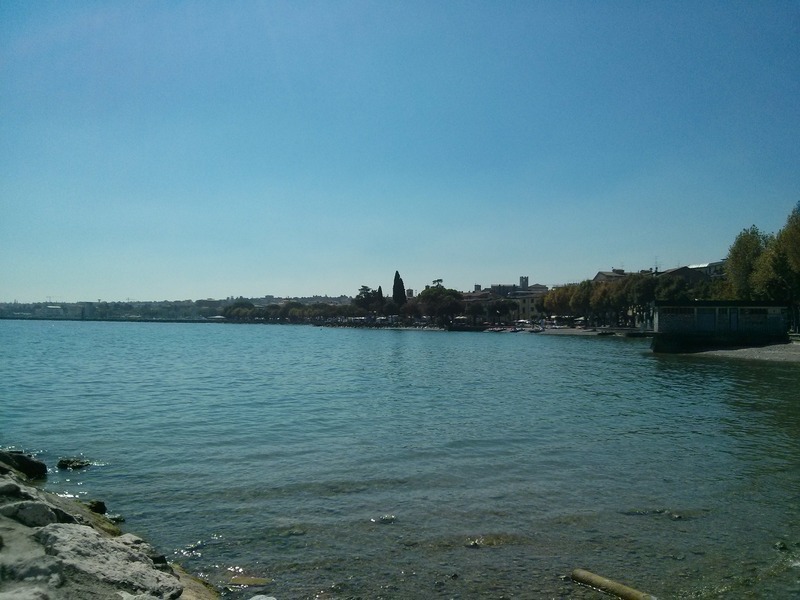 Furthermore in a sunny day a stop at the beach is a must. There are many beaches where you can stop and let your children play but I advise you to head out on foot from the center and get to the “Desenzanino” beach. Desenzanino is a beautiful public beach of small with all services that might serve to your children ! The kids will love play with ducks and swans and you can enjoy the sun or a swim in the waters of the lake inviting and never not too cold. 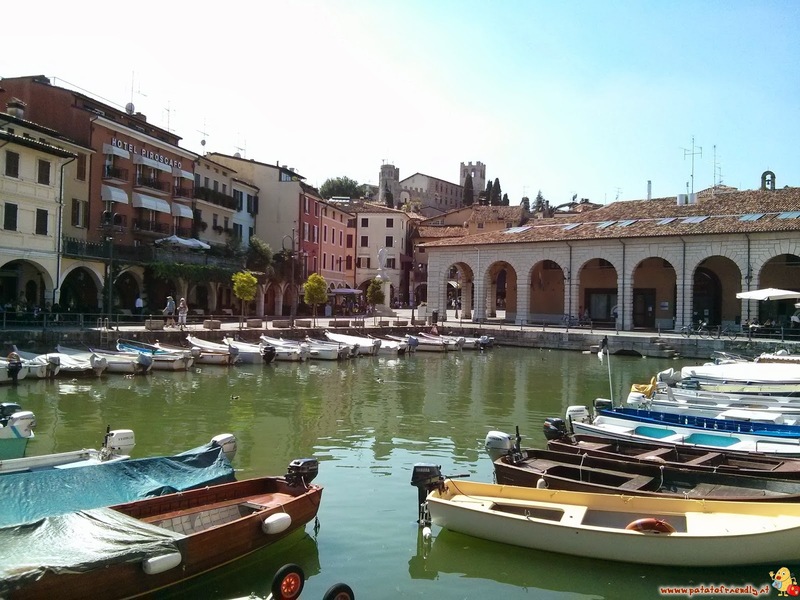 For me Desenzano and Garda Lake is really a trip suitable for all the family in a green corner of the Northern part of Italy. Desenzano del Garda is located on the shore of the Lake Garda in Lombardy, in the North part of Italy. It is about an hour’s drive from Milan and is very easy to reach because the highway is very close. 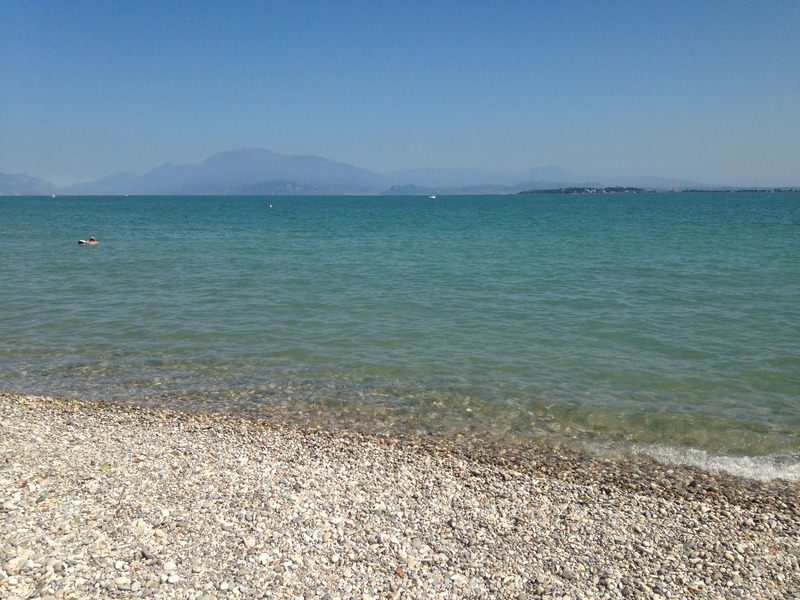 There are many beaches in Desenzano. 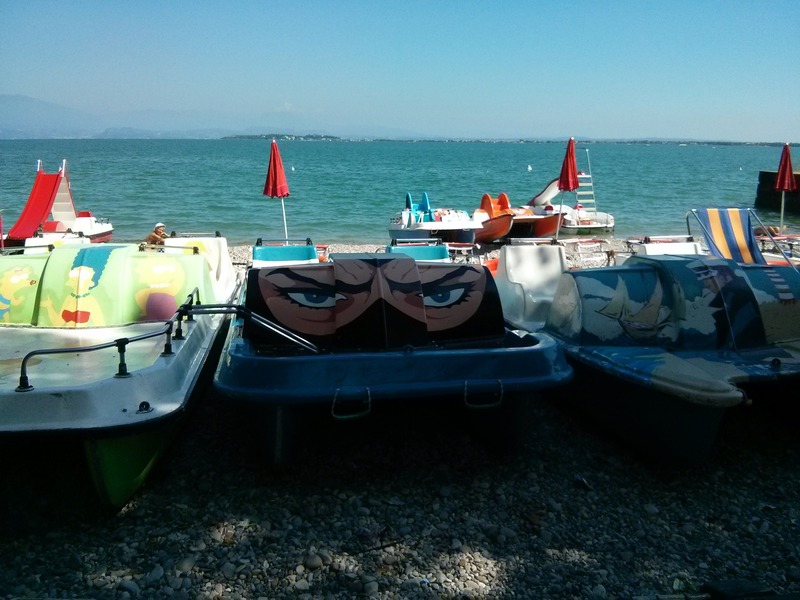 One of them is called “Desenzanino” and it is a beach – partly free and partly equipped – with showers, toilets, bar and restaurant just outside the center of Desenzano. There you can rent chairs and umbrellas, but you can also stay at the free beach. There are some trees and shadow if you decide to stay there even during the hottest hours with the kids.